I’ve been struggling with how to neatly divide two weeks traveling around Greece into posts, because we experienced so much. 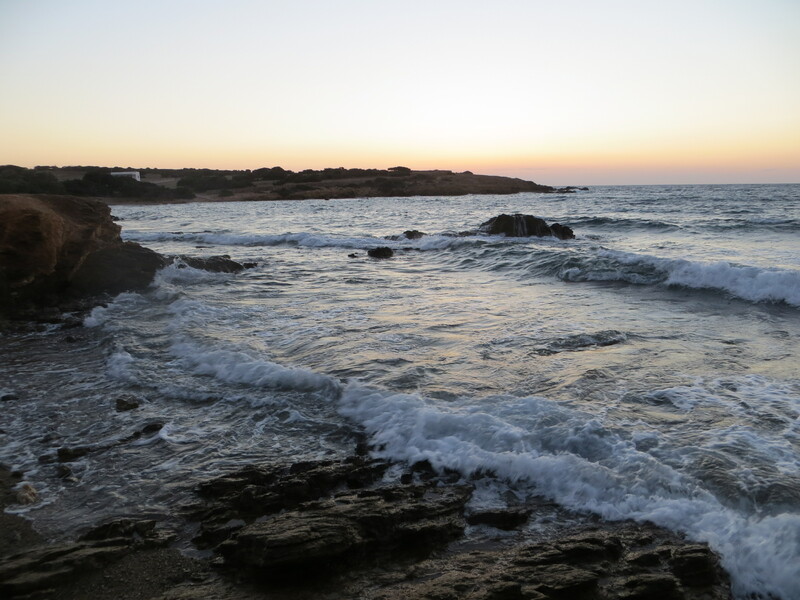 Putting Paros and Antiparos together made sense because they are geographically close, but we had such different experiences on the sister islands. 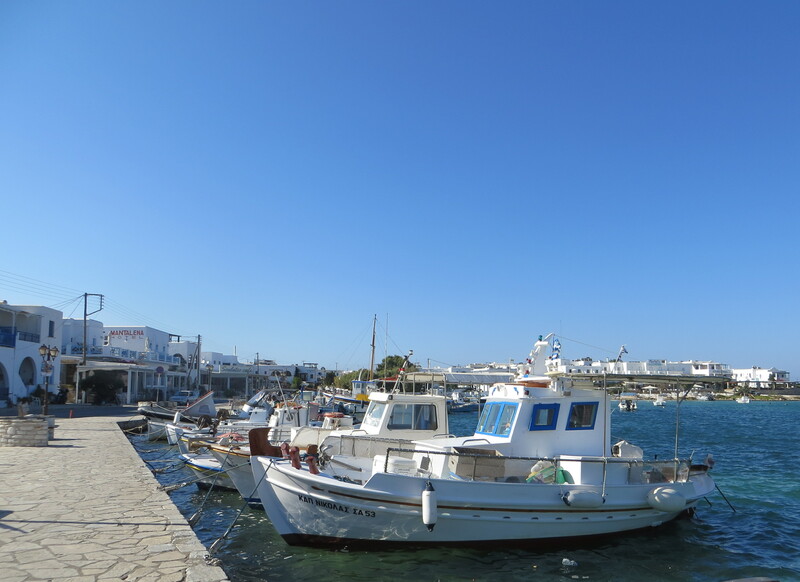 Paros is definitely a travelers’ favorite. I had so many friends gush over its beauty and they were absolutely right. 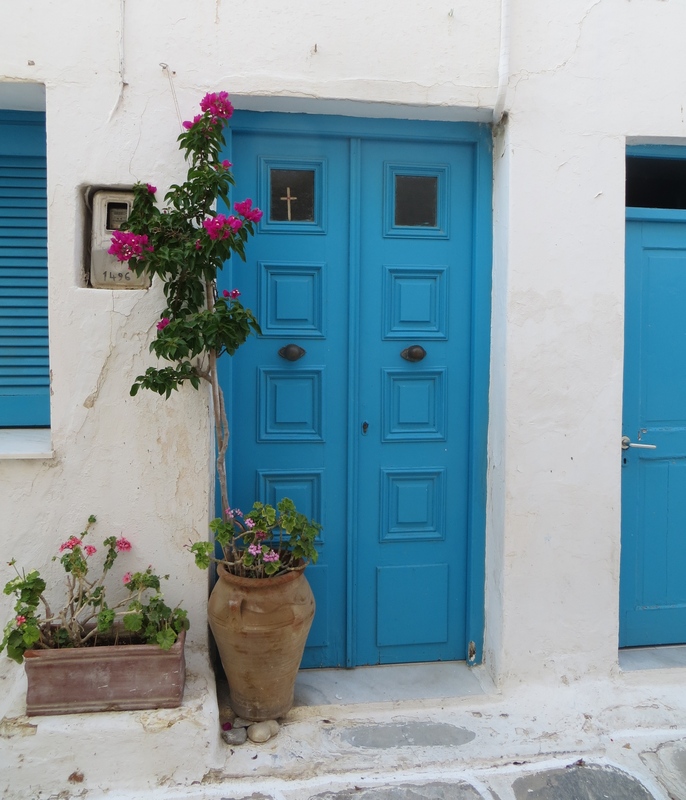 It’s beauty feels surreally stereotypical: whitewashed buildings, turquoise doors and climbing bougainvillea that could be right off a “Travel to Greece!” poster. The symphony of church bells and colorful harbor traffic only makes the island more picturesque. We spent three days on Paros–shopping through its maze of streets, sunning on Martselo Beach and eating at its fantastic restaurants. The B&B where we stayed was a favorite. The host met us at the harbor, led us to this quiet haven (pictured below) and fed us homemade treats. 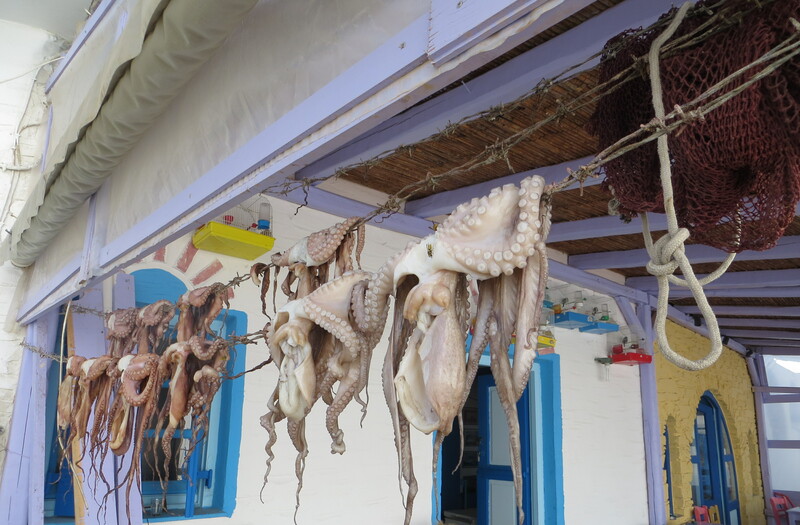 Paros was the most serene place we had visited in Greece… until we got to Antiparos. 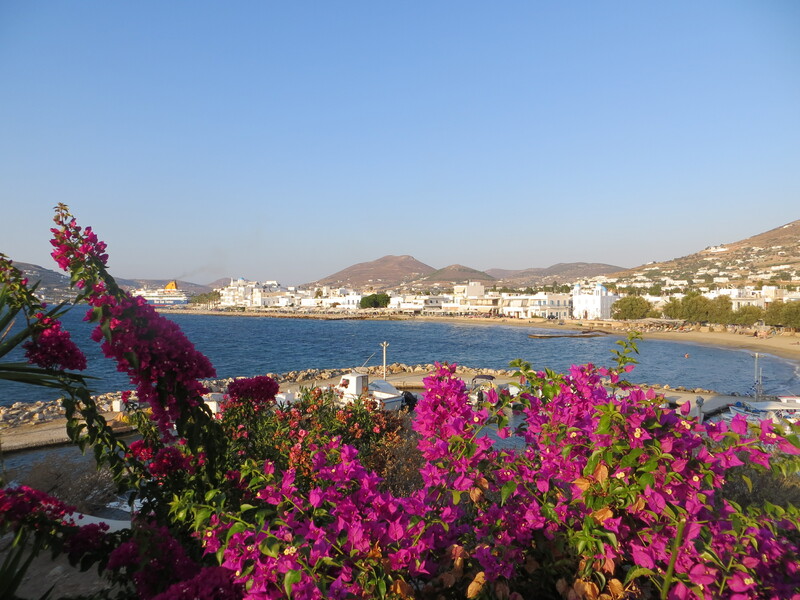 Why did we go to Antiparos? Because we read an article that said Tom Hanks’ vacation home is there! I promise we weren’t movie star stalking, but we were curious why this remote island draws in so many famous, fashionable people. And now I get it. 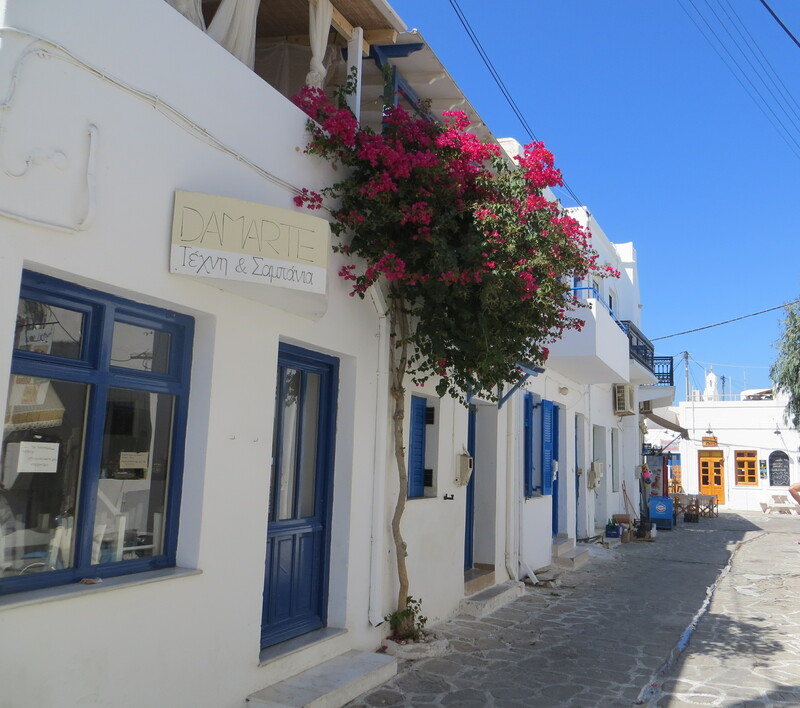 Antiparos has a lot of the same architectural beauty that Paros has, but is much less-populated. I saw maybe 100 other people. 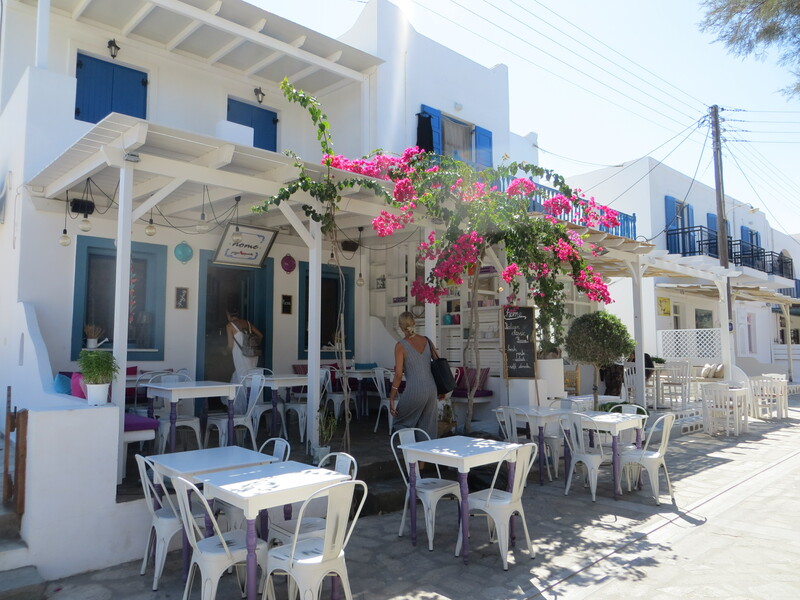 Antiparos may be small, but we found it had the best shopping and dining of all the islands we visited. Clearly the “chic factor” of this lesser-known island keeps bringing back travelers who like to live well. 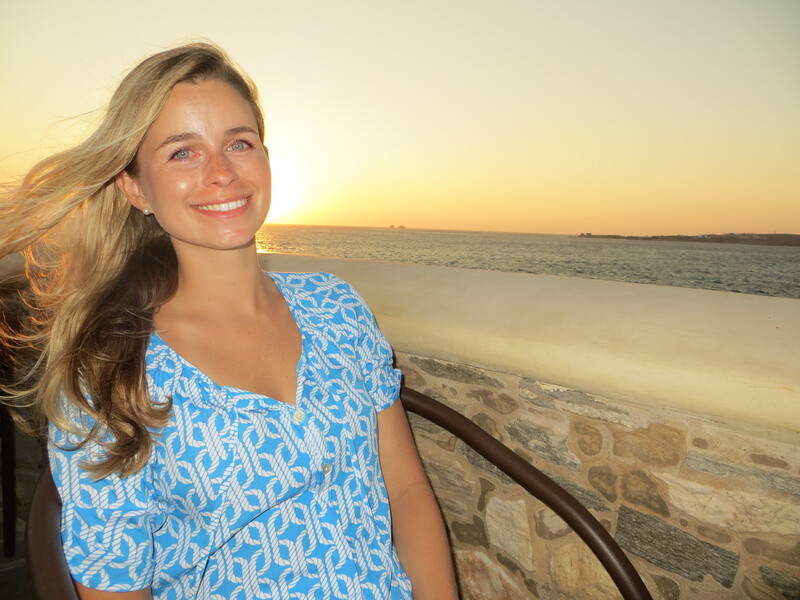 We would spend mornings swimming on a local beach with just a handful of other travelers then head into town for a leisurely lunch looking out over the quiet, lapping ocean. Antiparos was so peaceful, we wished we had booked more time there. 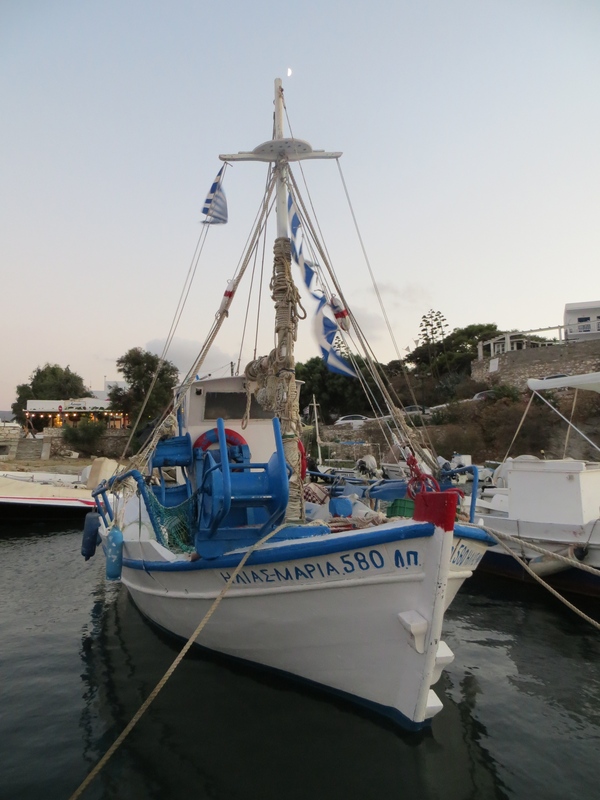 As far as lodging on Antiparos…I can’t speak to it, since we camped! Thank you Kat! If it is your first time to Greece, you really must go to Santorini! 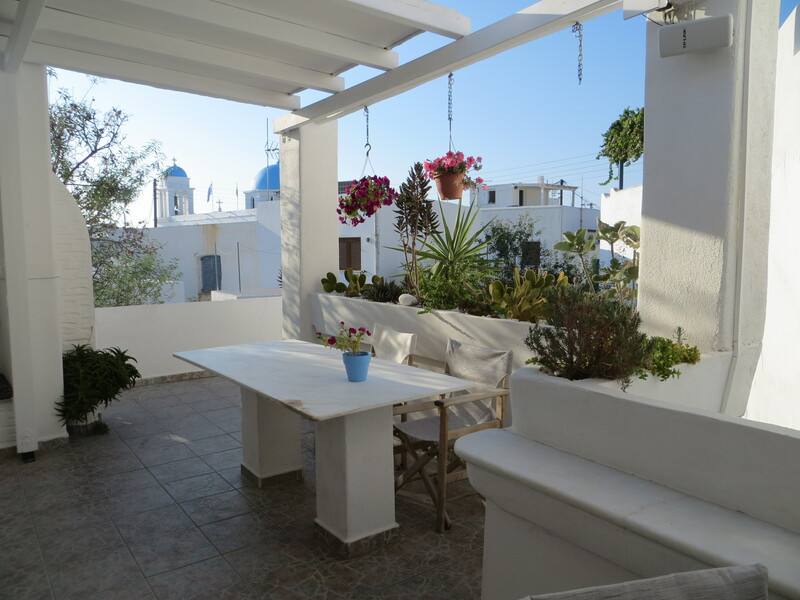 I’d recommend staying outside of the main town and instead stay in Firostefani (like we did, in this Airbnb: https://www.airbnb.com/rooms/2314340) or Imerovigli. It will be the highlight of your trip. From there, it depends on your travel style. Mykonos has lots of shopping, nightlife and cocktail bars. Paros is quieter but has everything Mykonos has. 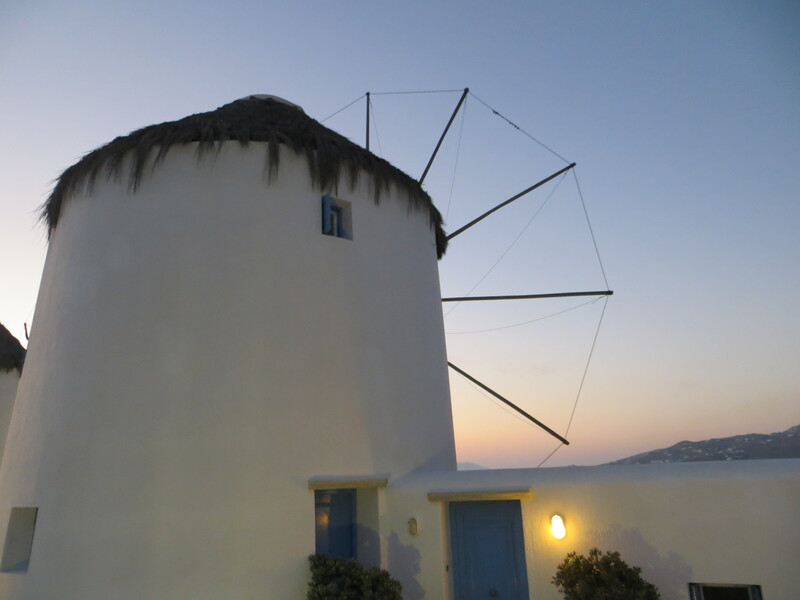 We preferred Antiparos and Milos–which are much quieter. Maybe too quiet for some people! If you go to Milos, I’d recommend renting a car so you can reach some of their incredible beaches. I’d also recommend joining a day sail around the island, since some of the most amazing places on the island cannot be reached by car. Have fun planning!